Choose from our growing collection of devotionals at an affordable price! Something smells rotten? And Rufus and Clyde are going to get to the bottom of it! Come and follow along this 90 day adventure while reading God's word. 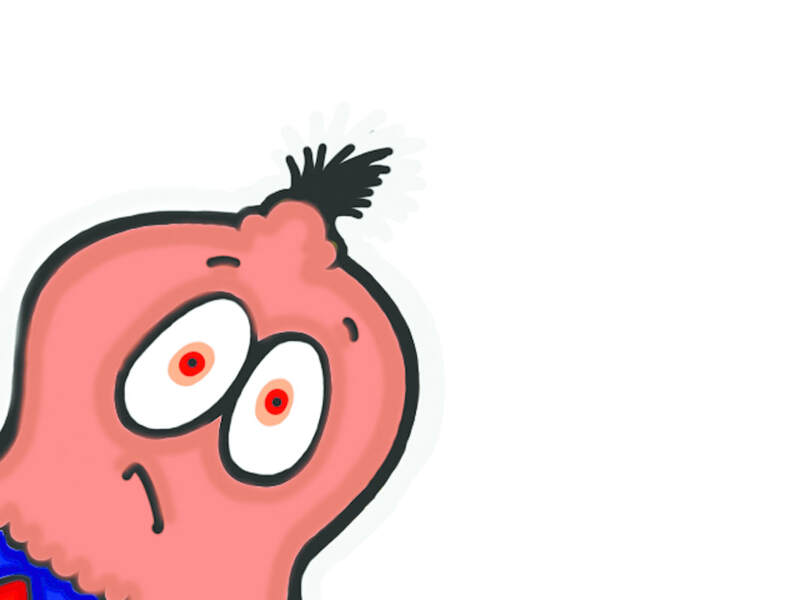 See if Rufus and Clyde can get to the bottom of this ghastly odor before it's too late. Asking, Seeking and Knocking (Matthew 7: 7-8) will be the tools needed to complete this task. This 90 day issue focuses on bible scriptures targeting the persistence of seeking after God for directions, solutions and comfort. Come and join in on the fun! Something smells rotten? And Rufus and Clyde are going to get to the bottom of it! Come and follow along this mini version 90 day adventure while reading God's word. See if Rufus and Clyde can get to the bottom of this ghastly odor before it's too late. Asking, Seeking and Knocking (Matthew 7: 7-8) will be the tools needed to complete this task. This 90 day miniature issue focuses on bible scriptures targeting the persistence of seeking after God for directions, solutions and comfort. Packed with fun activities to do each and everyday, come and join in on the fun in a smaller compact way! Something smells rotten? And Rufus and Clyde are going to get to the bottom of it! Come and follow along this 90 day adventure while reading God's word. 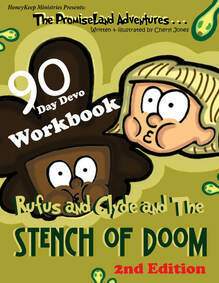 See if Rufus and Clyde can get to the bottom of this ghastly odor before it's too late. Asking, Seeking and Knocking (Matthew 7: 7-8) will be the tools needed to complete this task. This 90 day issue focuses on bible scriptures targeting the persistence of seeking after God for directions, solutions and comfort. Packed with fun activities to do each and everyday, come and join in on the fun! Tune in to see our latest 90 day HKM Devotional! Or email us and let us know if you want to be on our mailing list to find out what's new here at HoneyKeep Ministries publishing!